Tyler + Hannah's beautiful wedding took place just 30 minutes south of Nashville at one of our all time favorite venues, Mint Springs Farm. From their heartfelt ceremony, to their memorable first dance, to friends cutting loose on the dance floor and hanging out in the photo booth, this day was definitely one to remember! 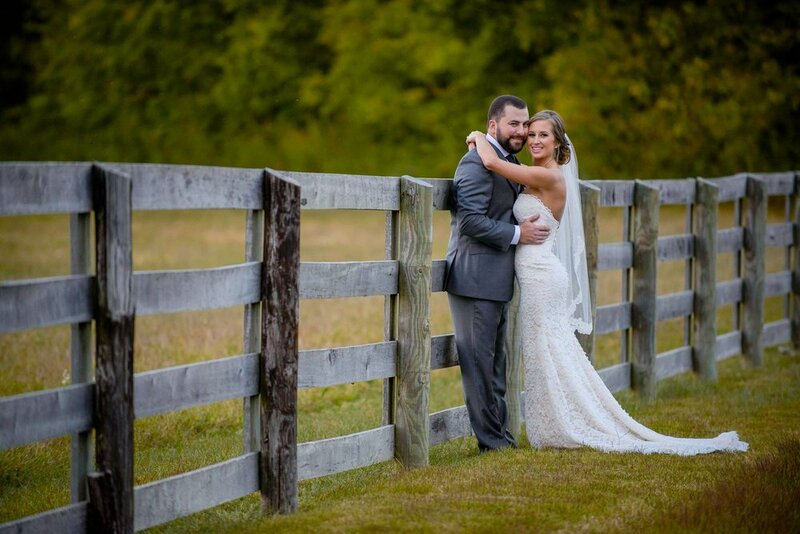 Here it all is captured by Greg + Jess..
From Greg and Jess... What do you get when a nurse and country artist fall in love... We don't really know but Tyler Farr & Hannah Farr pull it off perfectly! Mint Springs Farm was the perfect venue to celebrate this sweet couples wedding and having their friend Brad Paisley sing for their first dance as a married couple was a fun little highlight of the day. Congratulations to you both!! This was a highly anticipated wedding for our team; from the moment we first talked with Hannah and Tyler, we knew there would be love + magic in the air on the day of their wedding. A seriously beautiful Fall day, a calm and sweet Bride along with her bridesmaids began getting ready in the Bridal suite, and before they knew it, it was time for their first look. The look on Tyler's face when he saw Hannah for the first time is something I'm sure that Hannah will never forget. I don't think that they could of asked for a more perfect night as they chose the open air pavilion for their late afternoon ceremony. The wedding included more than 200 of the couple’s family and friends, including groomsmen Jason Aldean, Lee Brice and Colt Ford and Farr’s tour-mates from the Brad Paisley tour, Maddie & Tae. After heartfelt vows and promising forever, this couple said I Do, and their guests headed to the cocktail hour while Hannah and Tyler took absolutely beautiful sunset photos, and got their first look at the reception barn. For their cocktail hour, they tipped their hats to some of country musics finest playing songs by Tim McGraw and Allison Krauss, but they also got the party started with hit songs by Beyonce and Maroon 5. When it was time for the reception to begin, the new Mr. and Mrs. Farr, along with their Bridal party, made their grand entrance to the song I Gotta Feelin' by the Black Eyed Peas; bringing a lot of high energy to get the night started! This sweet Newlywed couple danced to "Today" by Brad Paisley for the first dance. (No but really, it was literally by Brad Paisley himself, in the barn, singing.) It was a truly memorable moment. For entertainment, Hannah and Tyler chose Snyder Entertainment for their DJ/MC, and Brad Ford and Casey Davis on our team did an rockstar job and had an incredible time! For the reception, the music selection consisted of songs by AC/DC, Journey, N'Sync, Outkast, Chris Stapleton, and Lynyrd Skynyrd to name a few. For the Photo Booth, they chose to do a custom created template designed by Snyder Entertainment. 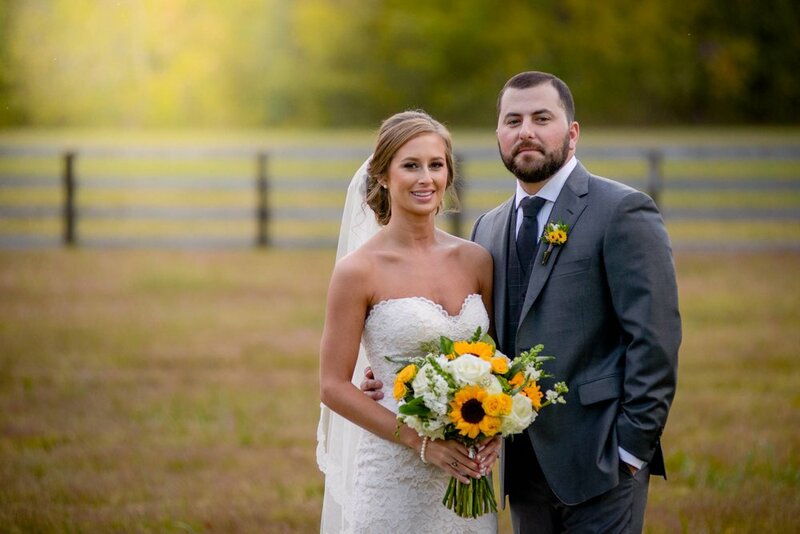 Hannah really wanted to incorporate their rustic overall theme, so she chose a wooden background for the template and she wanted to include a sunflower since that was their such a large part of their floral arrangements. Hannah chose a burlap backdrop, which brought the whole theme together in the pictures really well. Donald, their Snyder Entertainment provided photo booth attendant, said that he thought that their guests had a great time. They were in and out of the booth all night, and each guest left a handwritten message in the photo booth scrapbook. The scrapbook serves as a sweet wedding reminder to Hannah and Tyler of all the fun that everyone had celebrating their special day with them. Created by Jenny McGee, Snyder Entertainment. When the reception came to a close, all of the guests made their way outside to wish Hannah and Tyler a lifetime of love and happiness, complete with a sparkler send off. 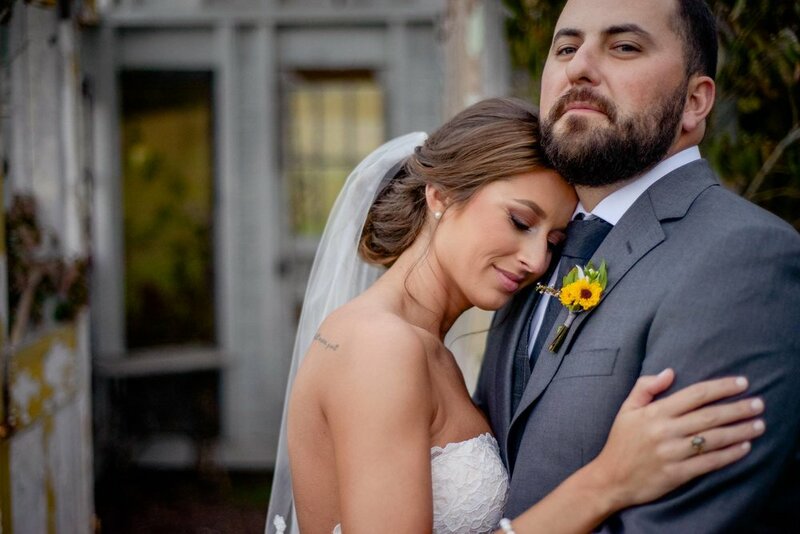 The love that radiates between Hannah and Tyler is undeniable and unwavering, which made this was such a fun and romantic wedding from the beginning! We're so glad that we were able to be a part of their celebration of marriage.. Congratulations again, Hannah + Tyler! To listen to and download Tyler Farr's chart topping country hits, such as Redneck Crazy and A Guy Walks Into A Bar, check out his website here!